Highly realistic and functional tooth replacement. At General and Cosmetic Dentistry of Tampa, we use implant dentistry to create natural, permanent tooth replacement. A dental implant is a small titanium attachment that fits inside your jawbone and replaces the root-part of a missing tooth, afterwards a crown to secured to the attachment. Dental implants are made of titanium, which has the unique ability to actually fuse to living bone and function as part of it. We specialize in performing smile makeovers with three types of implants that promise the feel, function and appearance of natural teeth. A dental implant is a small titanium attachment that fits inside your jawbone and replaces the root-part of a missing tooth. A crown is attached to the implant to give you a highly realistic and functional tooth replacement. If you’ve lost a single tooth from an accident or periodontal disease, no one will ever know. With precision implant techniques, we can replace your tooth with a dental implant inserted where the tooth is missing. The implant replaces the root of the missing tooth. Multiple implants are the ideal option for those who have multiple failing teeth. 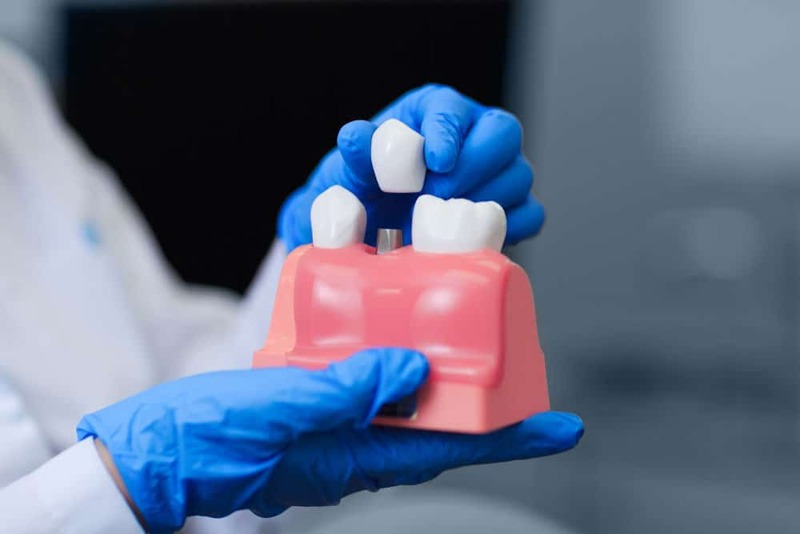 Implant-supported teeth are permanently fixed in the mouth, unlike removable appliances like dentures. They don’t slip or click, and you don’t have to worry about them moving or falling out when speaking or eating. To determine if you are in need of implant dentistry, please call us at (813) 540-7467 to schedule a consultation.